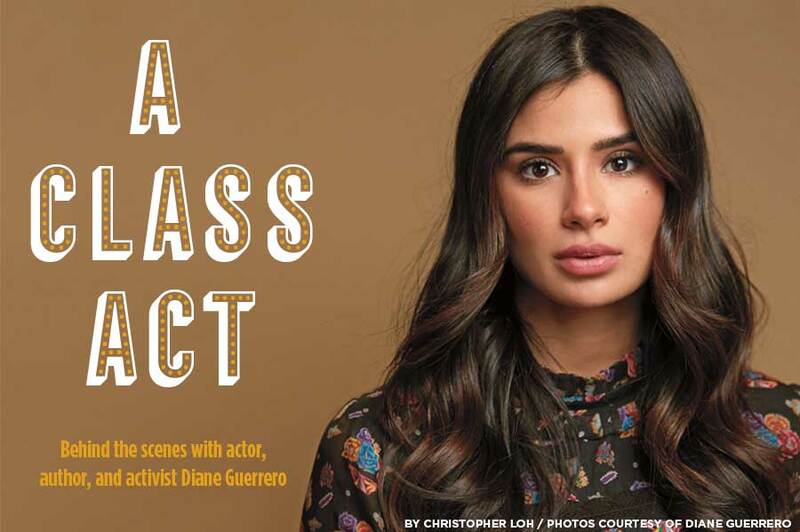 It was the end of a brutal week, even by Diane Guerrero’s standards. 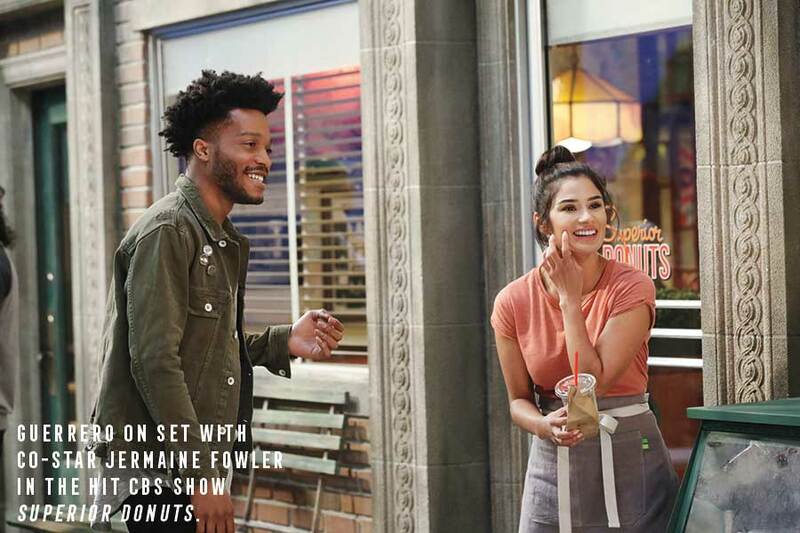 The former Regis student, now rising actor, bestselling author, and sought-after activist, was tired and ready to head home after a long day of rehearsal on the hit TV show Superior Donuts. For 10 years, she held tightly to a secret: She never graduated from college. As she walked to her car at the CBS Studio Center on that beautiful, warm day in sunny Los Angeles, Guerrero was about to let her secret go—loudly. It’s clear that Guerrero’s quick wit and charm helped her persevere in the face of so much adversity throughout her life. That perseverance enabled her to achieve incredible success both personally and professionally, and she has leveraged that success to advocate for others and be a force for good. To honor her many accomplishments and inspiring work, Guerrero was presented with a Doctorate of Laws at Regis’ 2018 Commencement ceremony in Boston’s Seaport Innovation District. Guerrero’s long road to and from Regis is well documented in her bestselling book In the Country We Love: My Family Divided. The autobiography illustrates her life in Boston as a citizen daughter of undocumented parents, and her years-long struggle to deal with the consequences of the broken immigration system in America. It is filled with heartbreaking stories including the most formative point of her life, when the government sent her family back to their native Colombia. She was just 14 years old. Guerrero paints a vivid portrait of the moment she realized she was completely alone. One day after school, Guerrero stepped off the Orange Line train at Stony Brook Station in Boston and called home. No one answered and panic set in. She raced home and opened the door. A faucet dripped, an apron dangled on a chair, a plate of plantains sat on the counter. The silence that greeted her changed her life forever. But the book is as much about triumph and perseverance as it is about the struggles of a young girl left alone to navigate her way through high school and eventually college. Guerrero eventually made the decision to stay in the United States to continue her education at Boston Arts Academy. Halfway through the Regis Today telephone interview, Guerrero had a visitor. Guerrero formed lifelong bonds at Regis that remain today, and she says it’s the place where she realized how to persevere. And she hopes that others do too. And most importantly, she tried things she never thought she would try. Guerrero studied abroad in Britain at Regent’s University London and traveled throughout Europe, experiencing international cultures that she never dreamed of before. Something that she still recalls fondly today. For Guerrero that is what Regis was and still is: a university that welcomes all without distinction and teaches its students to do the same in their own lives. On a micro level, her book serves as a detailed account of a family’s fight for freedom in the land of the free. On a macro level, it provides a platform for Guerrero to go from actor to activist. Since publishing the book in 2016, Guerrero has become an in-demand speaker on immigration reform at universities across the country, including Oklahoma State University and Penn State. Last year she delivered the keynote speech at Salt Lake Community College’s commencement ceremony (but is quick to note she did not receive an honorary degree: “Regis is my first one!”). She is also regularly quoted in major news outlets like The Boston Globe, PEOPLE Latina, Glamour, and The Washington Post, as well as on national television including MSNBC, CBS News, CNN, and Netflix. And in 2015, after writing a powerful article in the Los Angeles Times sharing her experience, Guerrero was nominated by President Barack Obama to serve as a White House Ambassador for Citizenship and Naturalization. She also continues to volunteer with several immigrant organizations, including the Immigrant Legal Resource Center and Mi Familia Vota. Guerrero has joined several members of Congress as a consistent advocate for a National Museum of the American Latino, first proposed by a congressional commission appointed under the George W. Bush administration more than six years ago. During her time at Regis, Guerrero confronted her own mental health as she continued to deal with the loss of her family to Colombia, as well as conflicting feelings about the direction of her life. When Guerrero left Regis in 2008, she worked at a law firm but continued to struggle emotionally. Things started to turn around for her when, with the help of a counselor, she embraced her dream to become an actor. She enrolled in acting classes at Boston Casting, and ultimately, Guerrero moved to New York City where she signed with an agent. That’s when things really started to take off. She was cast as Maritza Ramos in the hit Netflix series Orange Is the New Black, the cast of which was recognized for “Outstanding Performance by an Ensemble in a Comedy Series” at the 21st and 22nd Screen Actors Guild Awards. She was also cast as Lina in The CW’s Jane the Virgin and she currently plays Sofia in Superior Donuts on CBS. In addition to her creative muscle, Guerrero is able to flex her activist muscle as well. Her new charge is even more specific and is tied to her own experience and identity. In February 2018, Epix announced that Guerrero will join its show America Divided, a series that follows high-profile correspondents as they explore aspects of inequality related to their own biographies. In her episode, Guerrero travels to Houston to examine sanctuary cities after Hurricane Harvey. And then there are the big-budget Hollywood movies. She’s set to appear in Killerman opposite Liam Hemsworth. Back at the studio, when she hung up with her agent, Guerrero’s first call was an easy one. After more phone calls, the realization that she would receive her degree and put to rest a long-held secret finally set in.